Actual Colors may look different on screen. 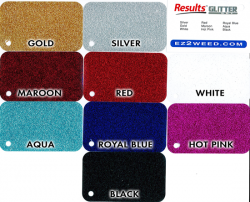 Results™ Glitter CUT – A 320 micron thick highly fashionable glitter film that is flexible, easy to cut, and is the easiest weeding glitter film, Guaranteed! Designed for the quick one-off or any high volume production business. Now available in 9 colors!!! 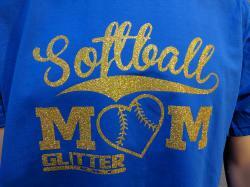 Glitter CUT utilizes a pressure sensitive clear liner that enables small to large letters, logos, or number design. Never worry about weeding issues or losing and important piece of your work. 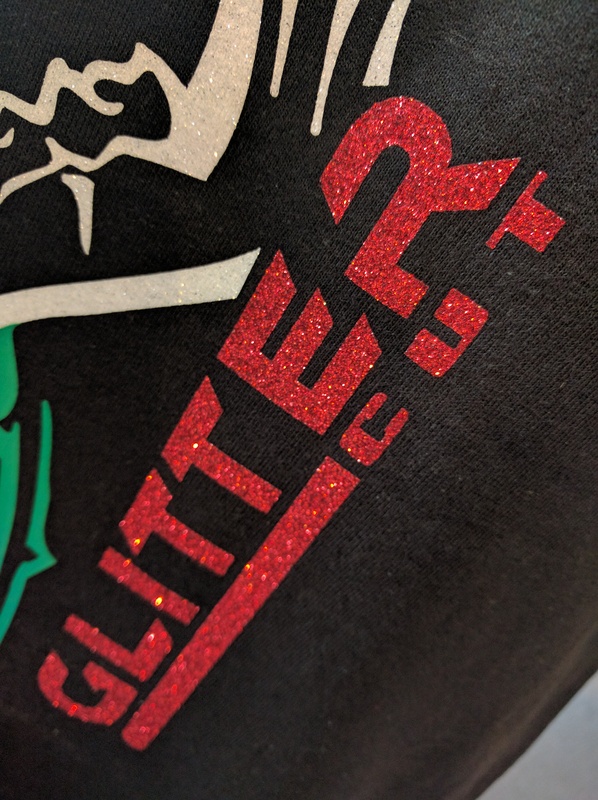 Embedded with high quality polyester flakes gives Glitter CUT maximum illumination. 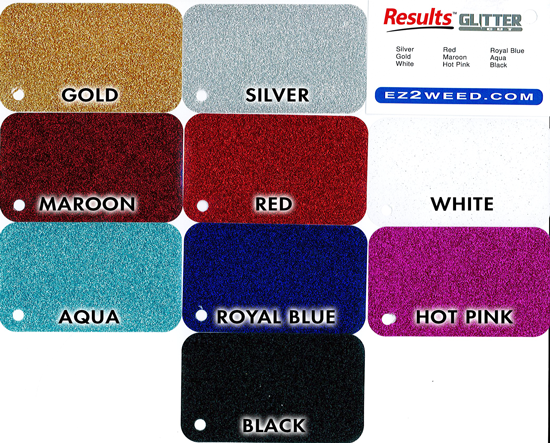 Eliminated is the flaking, peeling, or cracking issues that you see in poorly constructed glitter films. Glitter CUT is durable. 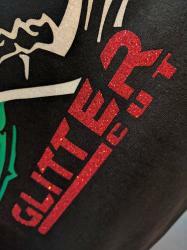 Perfect for a that full season of cheerleading, dance or if you are just looking for the ultimate in Bling and Swing.